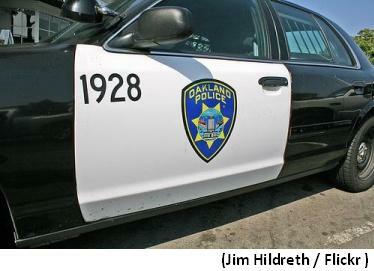 Earlier today, several Oakland policemen caught three criminals who were trying to escape from our neighborhood. The police said they would respond to crimes underway, and lived up to their promises — even though the department remains grossly understaffed. Passed by Thornhill and Mountain at 11:45 today and 6 police cars had a car surrounded at the traffic light. On the trunk of one of the police cars was someones nice flat panel TV and the police were taking fingerprints off it. According to Carolyn Winters, who chairs the Montclair Safety and Community Council (MSIC), three burglars were arrested after breaking into a home on Merriewood Drive as well as one other location. And there was some drama, as one of these burglars “ran the wrong way” down Highway 13 before getting captured on Fernwood! While we’re not thrilled about the crime, at least the bad guys were apprehended. Be thankful. PreviousBlair Park Development, Fait Accompli?